Our team of 70+ talented print specialists are dedicated to providing you with the best products and services possible – every single time. Together with over 100 years’ experience in the industry, they know good printing. Our committed director, managers, supervisors and crew members aspire to maintain a high level of excellence and ensure they are providing a service that is more than just printing. Meet our leaders below. Kym has been with Newstyle Print for 38 years. Until recently Kym had been General Manager for 18 years. With the retirement of founding director Ian Richards, Kym is now Managing Director having acquired ownership of Newstyle Print. Kym helped Newstyle grow from a 10 man shed operation to the powerful 70 strong organisation it is today. With a vast prepress background and a hands-on management style, Kym continues to ensure the company stays at the top of the marketplace. 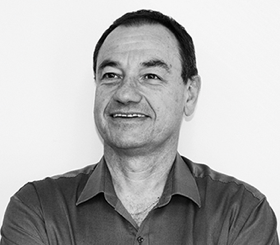 Mark is greatly respected throughout the printing industry and comes to Newstyle with 20 years of Production Management experience. Mark’s demand for quality and meeting deadlines will ensure that Newstyle Printing stays a leader and at the top of the market place. Mark’s ‘eye for detail’ and passion for the industry ensures that we attract even the most demanding and highest quality of jobs. 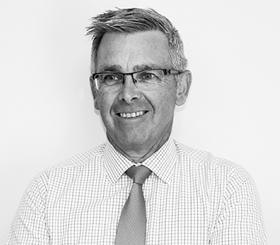 Daniel’s 17 years in the printing industry have been spent at Newstyle and other large printing firms, all within South Australia. 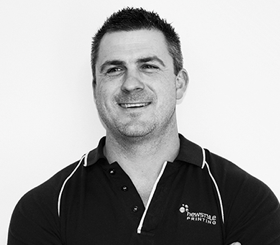 A familiar face to most of the state’s printing clients, Daniel is finely tuned to their needs and expectations. With a keen eye for detail and an excellent understanding of full colour offset printing, Daniel works closely with production, ensuring our print quality remains the benchmark in the industry. Mandy has been leaving her mark on the print industry for years. Creating an outstanding reputation for accuracy in customer service, and showing genuine care for client’s jobs. This has commanded her respect from the industry over her 25 years of experience. 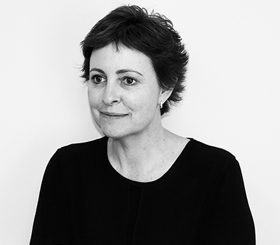 A vital member of the Newstyle team she acts as the glue between us and our clients.